DILG Undersecretary for Peace and Order Bernardo C. Florece Jr. said that the alleged 10 municipal mayors who were physically absent during the hype of the Typhoon Ompong hitting their respective provinces will be facing charges and worst it will be dismissal. The DILG further said that once validated that those rumored absent mayors ignored the heights of needs of the people affected by the loss due to Typhoon Ompong, the agency will definitely issue show-cause orders. 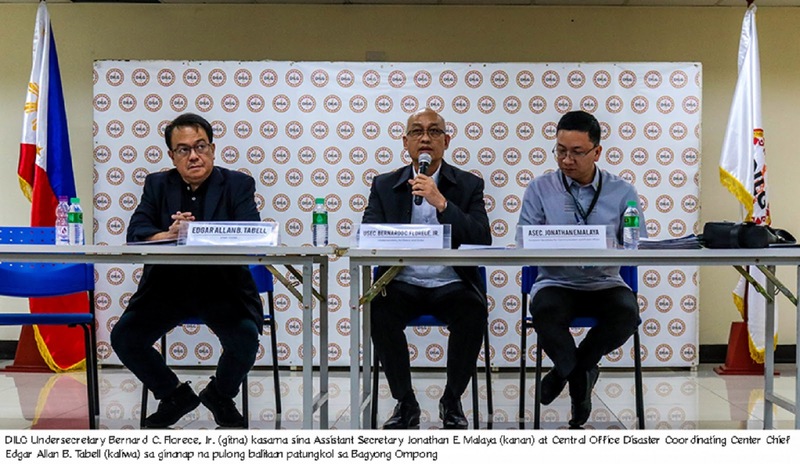 Based on the DILG’s “Operation Listo” protocols, local chief executives (LCEs) whose LGUs fall under the Alpha (low risk areas), Bravo (medium-risk areas), and Charlie (high-risk areas) during typhoon are mandated to undertake necessary critical preparedness actions as part of disaster preparations.